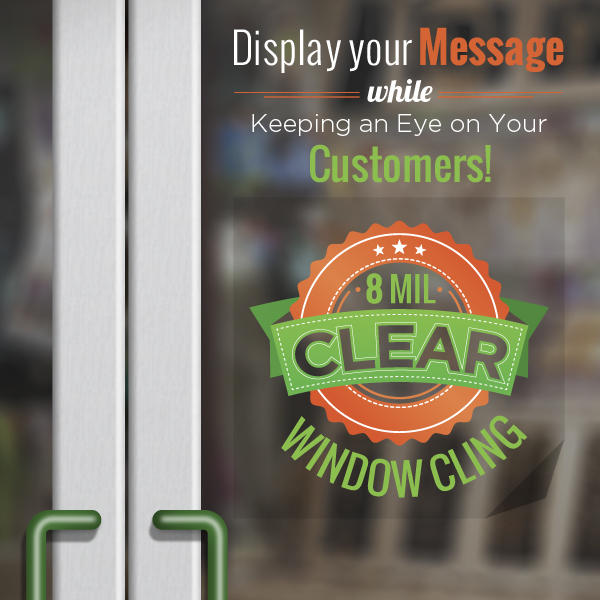 Advertise your business by turning your windows into stunning displays. See-Through Window Vinyl, See-Through Window Vinyl with Laminate, White & Clear Window Clings and Adhesive Vinyl/Decals, are a cost-effective way to attract attention and create impulse sales. They’re quick and easy to install and will last a long time with proper care. 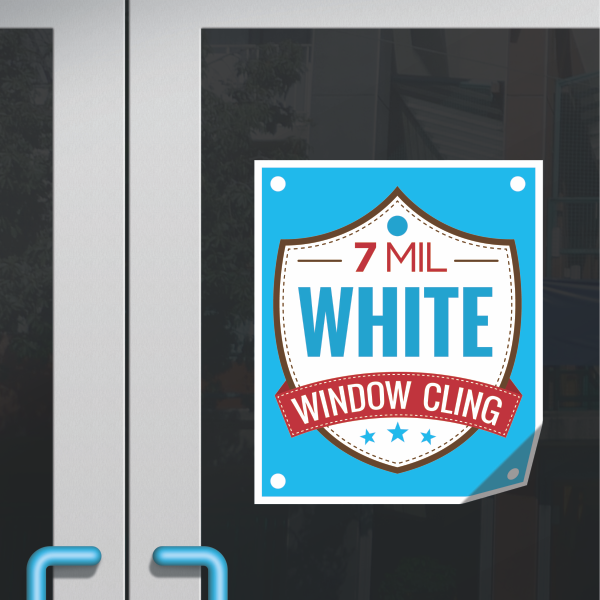 See-Through Window Vinyl: This 6mil white flexible vinyl with a removable clear adhesive backing is the ideal way to transform windows into one-way messaging tools. 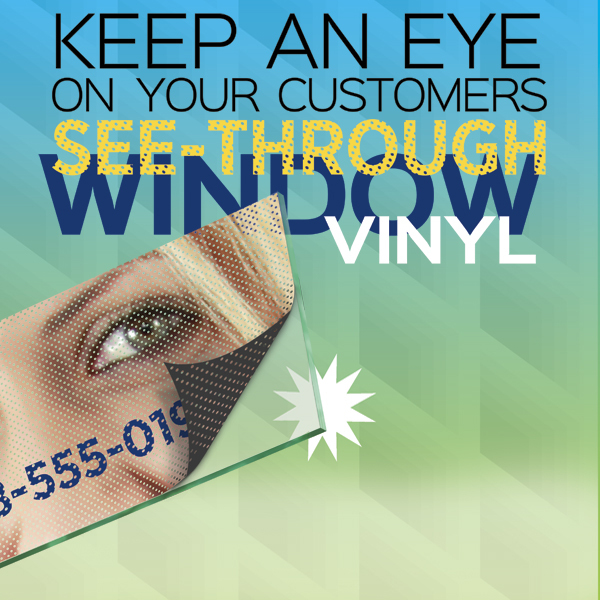 The perforated vinyl is designed for you to see out your window while outsiders can clearly view your message. This way you can always keep an eye on your customers! The perforated window film is designed for the production of see-through window graphics and is recommended for use on flat vehicle windows or retail store windows. See-Through Window Vinyl with Laminate: This 6mil white flexible vinyl (front) with 2mil of optically clear laminate is a perforated window film designed for the production of see-through window graphics. Also recommended for use on flat vehicle windows or retail store windows. 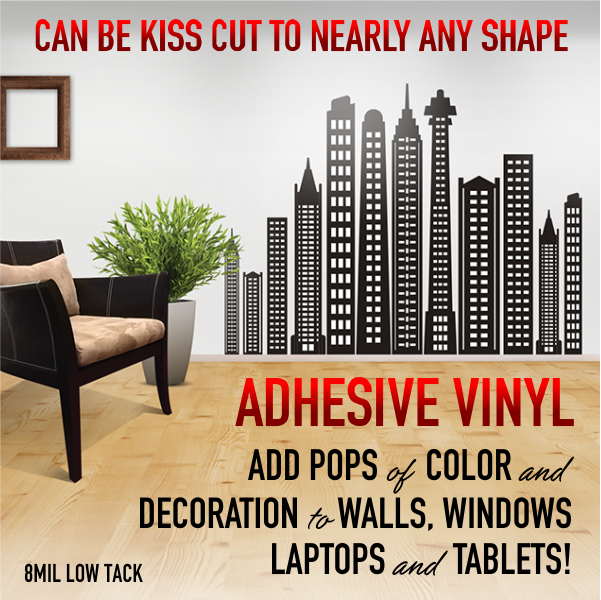 Adhesive Vinyl add pops of color and decoration to your office or bedroom walls, glass windows, laptops and tablets with 8mil Low Tack Adhesive Decals! This product is ideal for us on most surfaces and is the perfect way to add some style to your surroundings without the hassle or messiness of paint and wallpaper. Plus, decals are repositionable many times over so you can switch up your designs or marketing as often as you like!